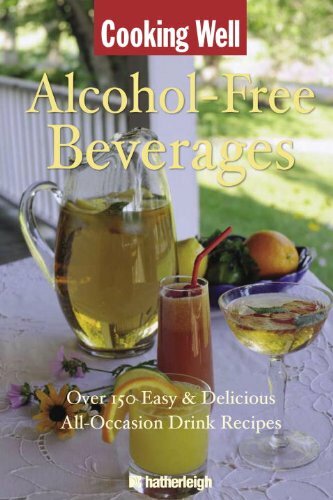 Whether you’re watching your weight, trying to live healthier, or entertaining for a crowd that includes people who don’t consume alcohol, the quick and easy recipes in Cooking Well: Alcohol-Free Beverages offer a wide selection of tasty and refreshing alcohol-free drinks. Each recipe is simple to create and incorporates healthy ingredients, making them perfect for family get-togethers, kids’ parties, holidays, or everyday occasions. With Cooking Well: Alcohol-Free Beverages you can finally enjoy healthy alternatives to alcoholic drinks, while also reaping the nutritional benefits of a wide variety of fresh fruits and herbs, including grape, lemon, apple, mint, and ginger. 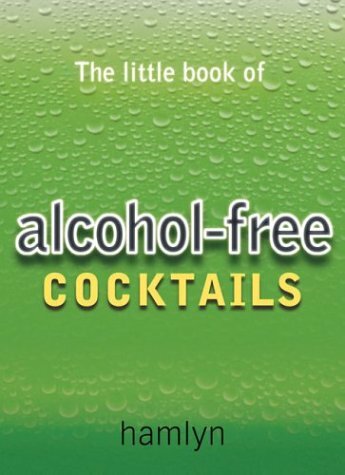 This pretty little recipe book is meant for two main audiences: those who don't like the taste of alcohol (some of us are quite sensitive to it), and those who can't drink it (for example, those whose religions forbid it). This way, those who find themselves longing for the intricate and interesting taste experiences that alcohol drinkers can enjoy can get in on the fun. 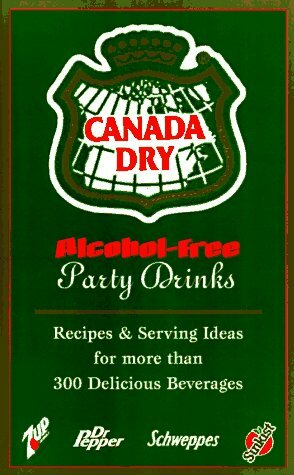 Some of the recipes are meant to duplicate the flavors of existing drinks or alcohols for people who can't drink alcohol but enjoy it, while other recipes are simply meant to be delicious drinks in their own right rather than knock-offs of existing cocktails. Some drinks come with suggestions for substituting in alcohol for those who want to make two drink versions for their drinking and non-drinking guests. 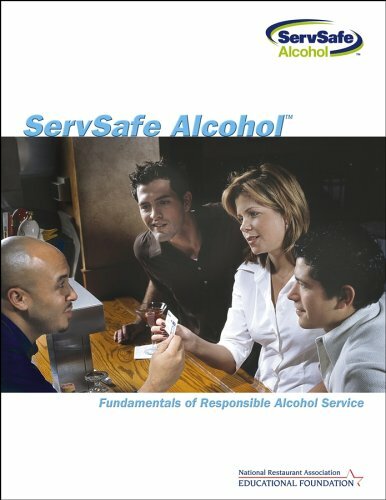 For those people who can't touch a drop of alcohol, there are great tips to help you watch out for "hidden" alcohol content in some ingredients you might otherwise think to use. When I think of "cocktails" I tend to think of things like margaritas and martinis, but Liz Scott has taken a much wider view on the term! 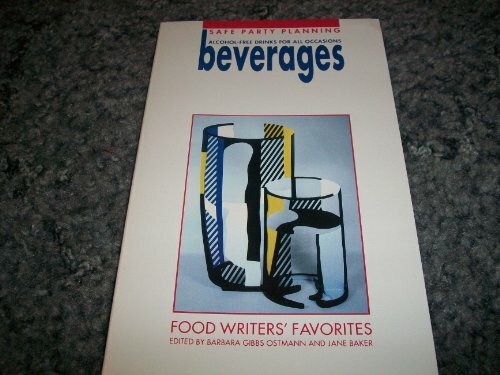 She has divided her book into five types of drinks: elixirs and aperitifs, martinis and party cocktails, mealtime libations, dessert drinks, and nightcaps. 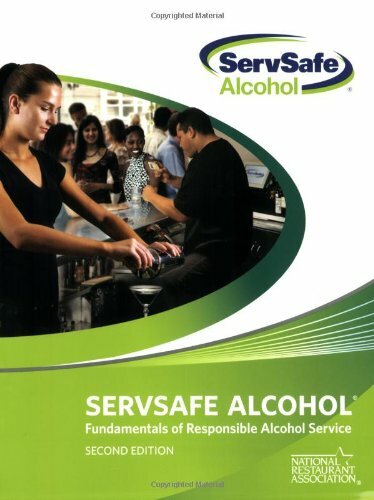 She includes a foreword on ingredients and equipment that's quite thorough, even addressing things like the fact that "alcohol-free" wine and beer can legally contain up to 0.5% of alcohol--an important detail for those for whom alcohol is a matter of prohibition, not taste. Many of the recipes come with gorgeous photographs that will certainly whet your appetite! Elixirs and aperitifs are meant as before-dinner drinks, and were originally created as medicinal beverages. Many of them include herbal ingredients, and the recipes in this chapter are surprising and diverse. Even though I don't like the taste of alcohol and thus knew the serious mock-alcohols wouldn't be my favorite drinks, I could tell by the taste of the one we made (a mock sherry) that it was good, just not my thing. 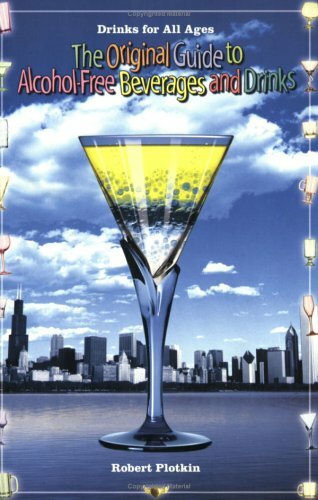 The "mocktails" in the martini & party cocktails chapter are imaginative and fun! 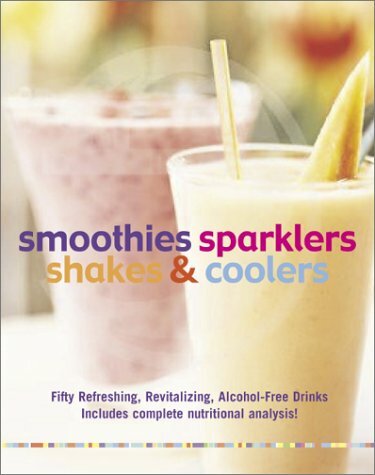 Whether you prefer mojitos, margaritas, or coladas, in orange, mango, lime, or pineapple, you'll find something in here to whet your appetite. There's a variation on a champagne cocktail in here that's just divine. Mealtime libations are designed, much the way wine is chosen, to complement certain foods or meals. Want some non-alcoholic mimosas to go with brunch? You've got `em! A white tea infusion makes an alternative to white wine, and a dry grape grigio is designed to pair with poultry. The strawberry white sangria is so good I could make that recipe alone over and over. If you'd normally serve a Zinfandel, try the pomegranate-based "pom zinfandel." Of course plenty of the drinks in the preceding chapters would make fine desserts, but Zero-Proof Cocktails goes one better with an entire chapter of specific dessert drinks. How about hopscotch eggnog (it uses butterscotch syrup in place of schnapps), or a toasted almond cordial? Since nightcaps are meant to help one sleep or aid in post-dinner digestion, you'll find both mock versions of traditional nightcaps (such as spiced apple brandywine, which of course doesn't have any real wine in it) and a few originals. The almond roca buona notte is simple and heavenly, much like a cup of warm milk. There's a sweet ginger tummy tea, and even a catnip tisane! This digital document is an article from Cheers, published by Bev-AL Communications, Inc. on April 1, 2005. The length of the article is 433 words. The page length shown above is based on a typical 300-word page. The article is delivered in HTML format and is available in your Amazon.com Digital Locker immediately after purchase. You can view it with any web browser. 7. 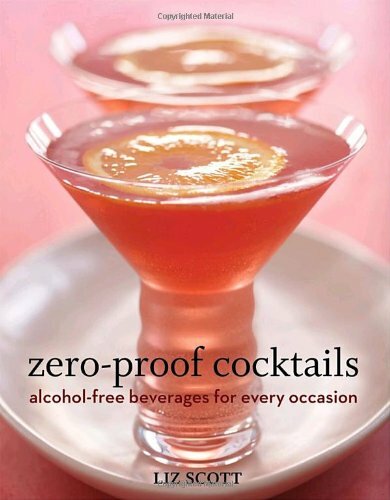 Non-Alcohol Drink Recipes Galore...133 PAGES of the greatest Non-Alcoholic Recipes AvailableWOW!! This digital document is an article from Cheers, published by Thomson Gale on January 1, 2007. The length of the article is 1455 words. The page length shown above is based on a typical 300-word page. The article is delivered in HTML format and is available in your Amazon.com Digital Locker immediately after purchase. You can view it with any web browser. Title: Non-alcohol knockouts: crafting creative non-alcohol drinks pumps up profits and increases customer satisfaction. From the fruity Cranberry Crush to the creamy Virgin Colada, these 50 tasty alcohol-free concoctions will make a party festive for designated drivers, pregnant women, youngsters, or anyone who simply prefers not to drink. Or serve these cocktails along with food at a daytime gathering. Whip up non-alcoholic Sangria, refreshing Iced Mint Tea, and tangy Spiced Ginger Punch. Indulge in some Cool Passion, a luscious mix of orange, passion fruit, and pineapple juices, plus lemonade. A combination of strawberries, cream, grenadine, and ginger ale makes a rich, sparkling treat called a Tenderberry. Instead of a Bloody Mary at brunch, enjoy a Tomato and Cucumber Cooler. And kids will go crazy for the delicious Chocolate Shake. You'll never miss the liquor. Introducing a new series of clever little boxes with tops that slide off to reveal a deck of 52 cards inside. Each card features a recipe and detailed instructions on one side, and a rich, full-color photograph on the other.